Ultima Brazilian Jiu Jitsu Gi/Kimono - Fit, Quality and Comfort. One of the highest quality jujitsu GI's available in market. Made of high quality materials and is comfortable, durable and will make an excellent uniform for training and competing. Ultra comfortable new special weave that is 620 grams with Light-Flex, midweight, not too light and not too heavy, This gi design features an injected foam mold collar that makes the jacket almost a full pound lighter, keeps the inside of the collar dry, strong, and more resistant to mildew. Inside ribboning for subtle style, Triple stitched seams throughout the gi. This gi features 3 color (grey, black, marine green) bias along the edge of the jacket collar. Weave is also tighter and inside is much smoother and softer than any other weave available in the market. 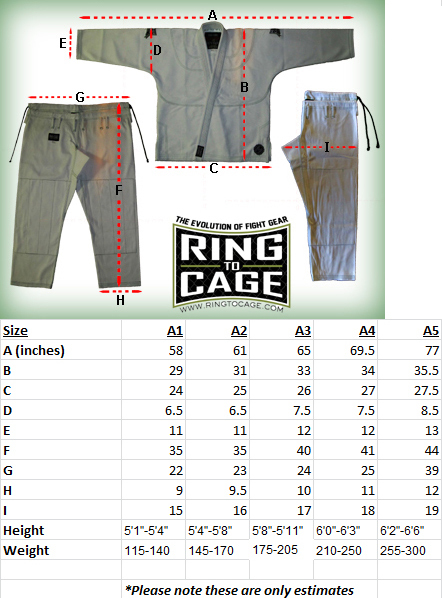 Pattern for snug fit, true BJJ cut with shorter jacket and well tapered arms, roomy shoulders for improved mobility with strong pants, excellent reinforcements, traditional cotton drawstring waist, reinforced panels at the knees, triple gusseted low cut pant, gone is the movement limiting baggy crotch of typical Gi pants. It is preshrunk which reduces overall shrinkage, no color bleed, very attractive looking Gi.